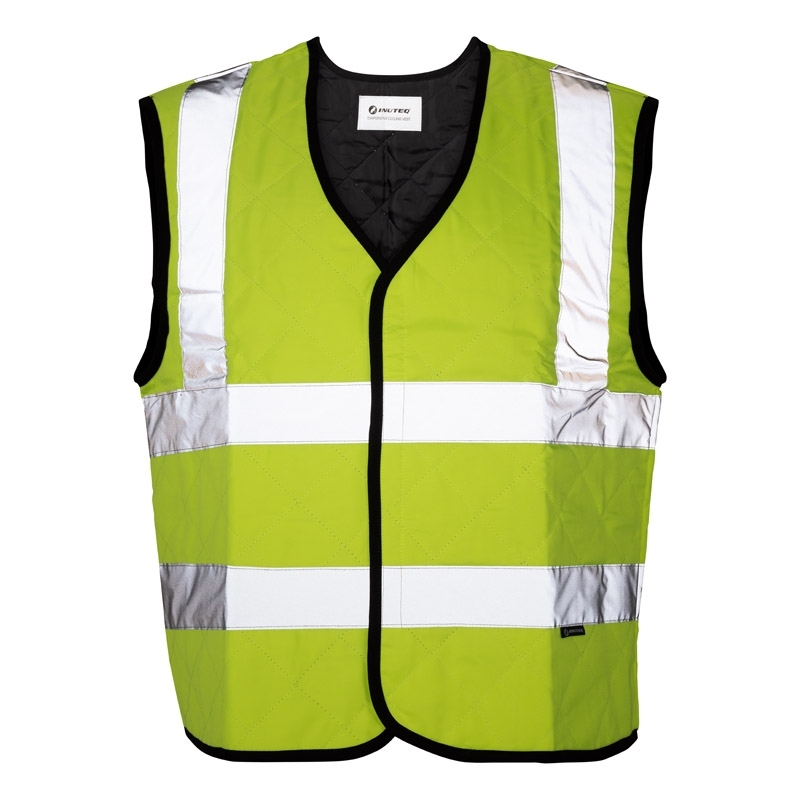 The Max is a safety evaporative cool vest, combining INUTEQ H2O active cooling and high visibility in one vest. 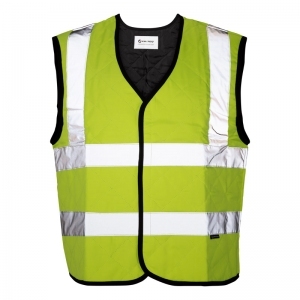 The ISO 20471 compliant cooling vest, offers workers in the field optimal cooling. 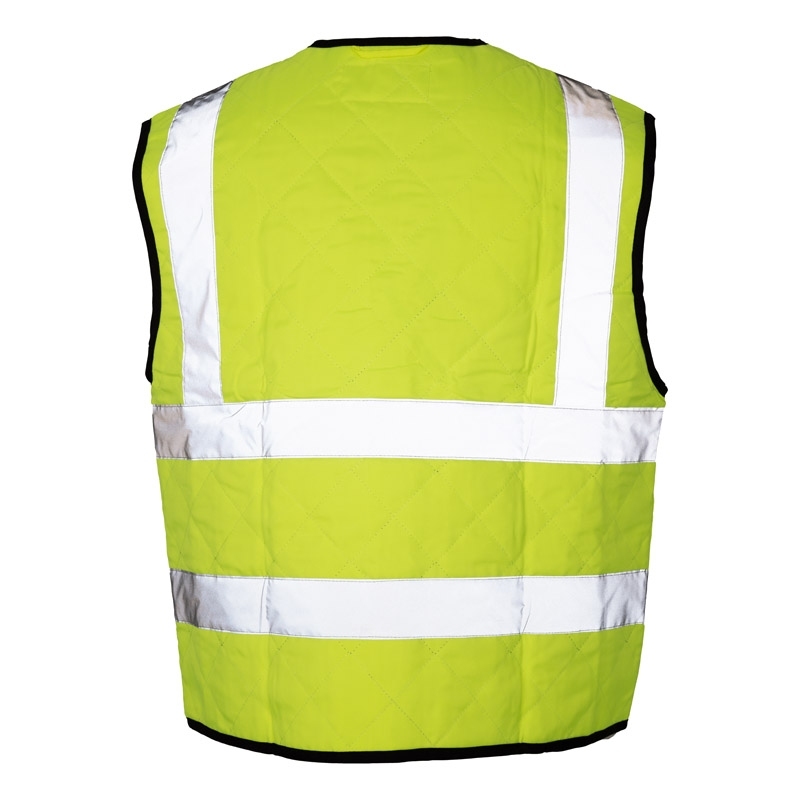 The Max comes in Fluro yellow and has a velcro front attachment, no zipper. Activation is easy. Just soak in fresh water for max 2 minutes and squeeze out gently any excess water and your vest is good to go again. Instantly creating evaporative cooling up to 8 hours, depending on the ambient temperature, humidity and airflow. This product was added to our catalog on 19/01/2017.